The University of Tasmania’s incoming Provost, Professor Jane Long, will bring an important range of skills and experiences to this role. Professor Long has a substantial background in key academic and university executive roles. Most recently, she was Senior Deputy Vice-Chancellor and Vice-President at La Trobe University, where she was responsible for the Academic, International and Education portfolios, and was Acting Vice-Chancellor as required. 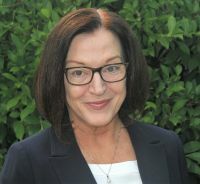 From her experiences at La Trobe and prior to that, at the University of Western Australia, she is very familiar with regionally dispersed, multi-campus universities that simultaneously pursue an agenda of excellence in teaching and research, and build social equity through increased rates of participation. She has an appreciation of the deep community engagement that is critical for the University of Tasmania. Professor Long started her career as a historian of modern Britain and of gender relations, excelling in both teaching and research. Since the mid-2000s, in the context of university management and leadership, she has served as Centre Director, Dean and Deputy Vice-Chancellor. Launceston-based, Professor Long will take up the role from June 4.